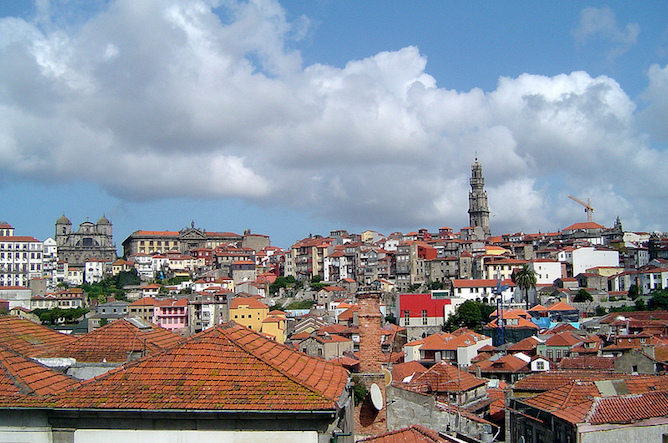 Prior to the 18th century, Porto was a religious city and the taxes were paid to the catholic church. That’s why most of the historic buildings we see today used to be religious buildings. But between 1758 and 1786, João de Almada transformed and pushed Porto into the next phase of urbanism. During the 19th century, Porto was the vehicle behind the liberal revolution that ended the monarchy. 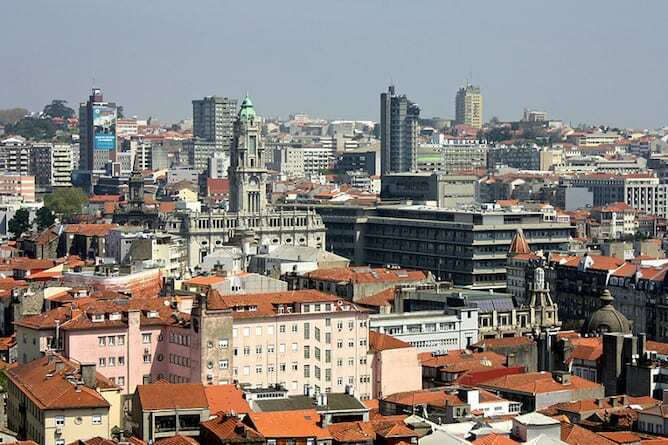 And during the 20th century, Porto, like many cities in Portugal was faced with political and economic difficulties. However, thanks to the 25 of April Revolution in 1974 that ended a 41-year-old dictatorship, things began to change. And Porto’s architecture began to develop its own dynamic identity again. Indeed, Porto doesn’t have skyscrapers like other European cities. 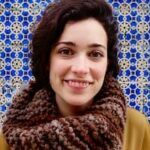 This is largely due to the economic difficulties which shaped the Portuguese architecture as we know it today. 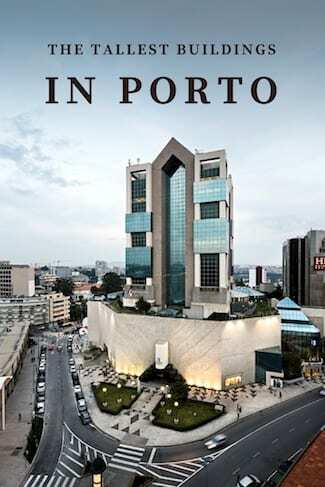 So, don’t be surprised to know that the tallest buildings in Porto range between 60 to 76 meters in height. Nonetheless they are all worth visiting! 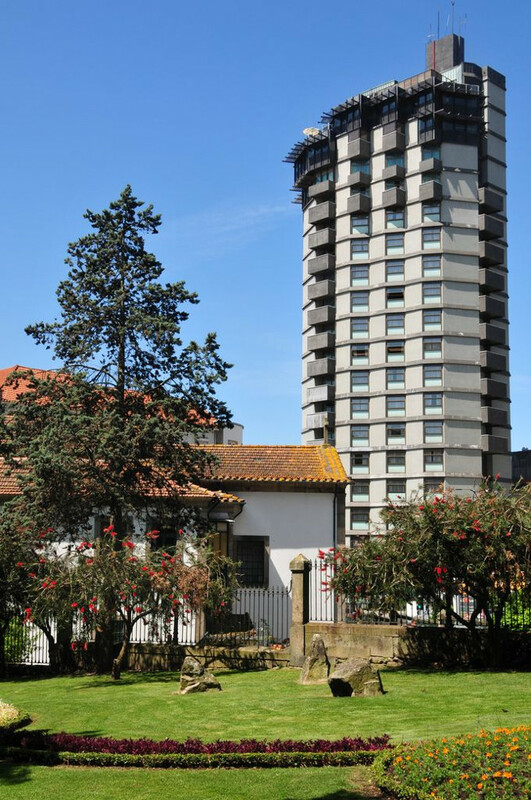 The Clérigos tower is not only one of the tallest buildings in Porto but also one of the most famous ones. 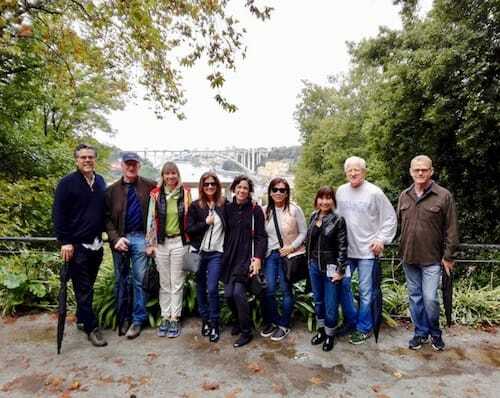 No wonder: this stunning example of Baroque architecture, designed by the Italian master Nicolau Nasoni, offers an incredible view of Porto to those who dare climbing its 225 steep steps all the way to the top. 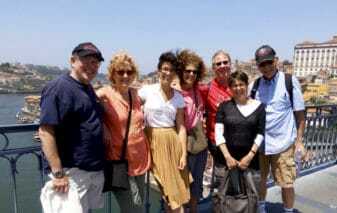 Personally I am not as found of climbing the Clérigos tower as I am of visiting its church. In fact, Igreja dos Clérigos is one of the most beautiful churches in Porto, due to its unusual oval shape, to its walls entirely covered in pink marble and Baroque golden leaf and to its wide windows that create a splendid natural light environment. 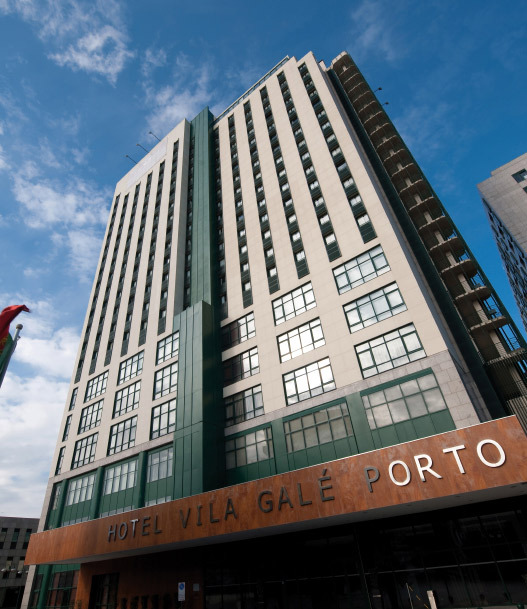 Built in 1999, Vila Galé Porto made it to the list of the tallest buildings in Porto thanks to its 76 meters height. 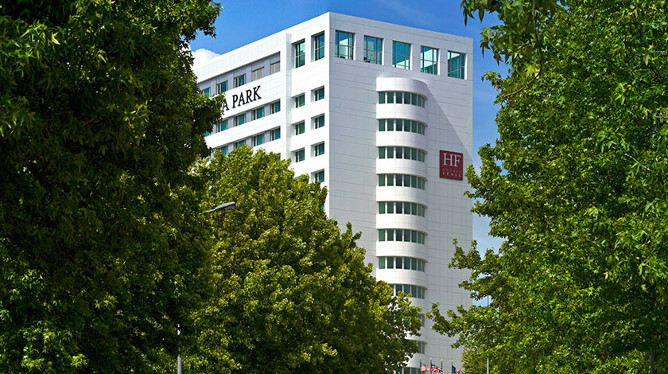 With 295 rooms and 23 floors, it had gone through renovations in 2015. 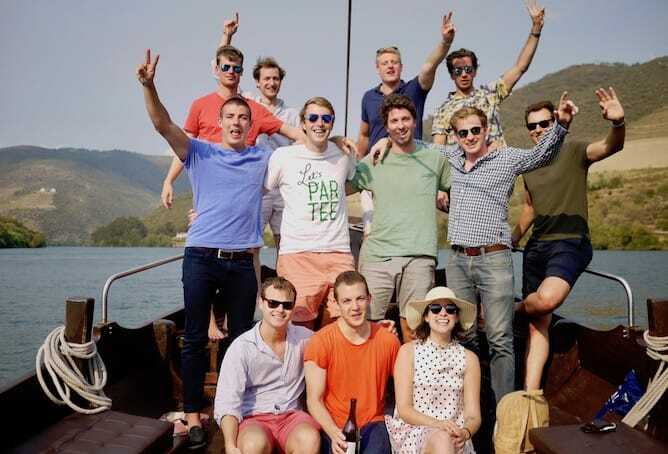 The founder, Jorge Rebelo de Almeida, is a law school graduate who studied cases in the civil construction industry and decided to start his own project in 1986. The business started with a hotel in Algarve, and after its success, Vila Galé came to Porto in the late 90s. With its postmodernism architecture, Vila Galé stands out within the borders of the historic Porto mixing the past with the present in an elegant way. How to get there: 24 Agosto subway station is 5min walking distance. This 24-story building was built in 1978 and it is 75 meters tall. It’s situated in the Ramalde area, in a residential neighborhood known as Foco. What I find fascinating is not the building itself, but the area in which it’s built. Foco neighborhood was previously known as Graham, called after William Graham, who owned a textile factory in that area. After its closure, Graham decided to take advantage of the land so he designed a residential complex. © Porto Desaparecido’s Facebook page. 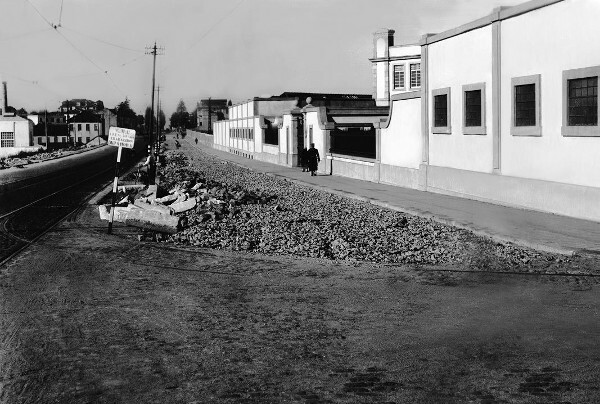 Picture showing William Graham factory (right) on Avenida da Boavista. The neighborhood is now known as Foco after Agostinho Ricca built a cinema with the same name in 1962. Ricca has completely shifted the dynamic of this area with his modern urbanism vision. He kept the morphological elements of the “traditional city” and abandoned the idea of the “closed block”. He designed an area in harmony with nature, composed of large green spaces. How to get there: Francos subway station is 20min walking distance. Standing 72 meters tall with 18 floors, Dom Henrique Hotel Downtown is the first large high-rise construction to use reinforced concrete. At 150 meters above sea level, it shares the same skyline as Cooperativa dos Pedreiros building – considered the highest point in Porto. 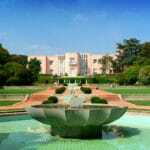 It opened in 1973 by a Portuguese businessman, Afonso Pinto de Magalhães and it’s still owned by his family. The hotel was designed by modern architects Luís Pádua Ramos and José Carlos Loureiro. The 4-stars hotel has a restaurant and a bar on the 17th floor. How to get there: Bolhão subway station is 5min walking distance. 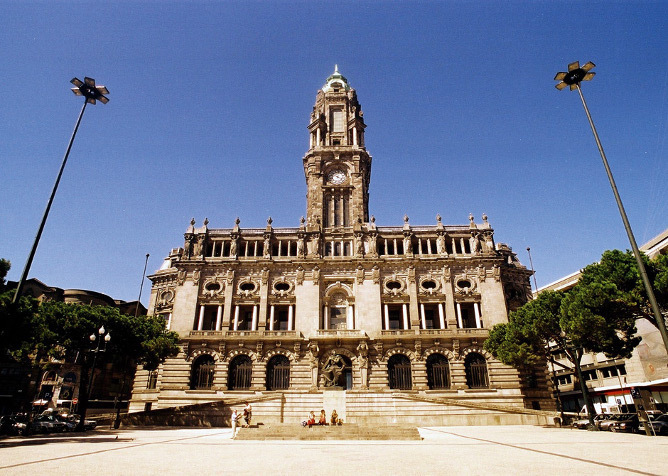 Porto City Hall was originally designed by the British architect Barry Parker, the same architect that designed Avenida dos Aliados, but the original planned suffered some changes as the bourgeoisie of Porto was not pleased with it. 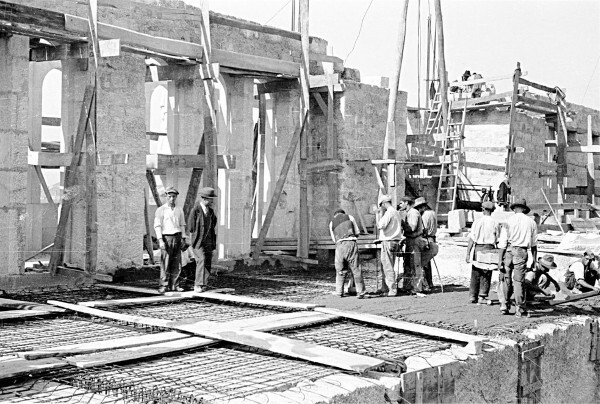 The build resumed in 1947 and it was finalised only 8 years later in 1957. The building itself is not that tall but the carillon clock tower is 70 meters long. The building is made of granite taken from the rocks of Fafe, a Northern Portuguese city. The remaining materials are marble, concrete, oak and sucupira wood. 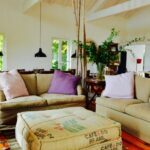 The budget of the project was 50 thousand contos (old Portuguese currency) – which was considered a small fortune at the time. The statue of Almeida Garrett stands in front of the municipality doors. Garrett, the Porto-born was one of the most important 19th century literary and political figures. This is not only one of the tallest buildings in Porto, but also one of my favorite places to see. The first time I visited Porto, this building was the first one I was in awe of. How to get there: Trindade subway station is 2min walking distance. Standing 70 meters high, Torre das Antes was built in 1998 by Rosário Rodrigues. The tower is visible whenever you’re close to the Antes area. The building asymmetry is interesting and hard to describe. It looks different from every angle. The tower was mainly built for FC Porto offices. It has 17 floors and it’s standing above a three-stories square structure. The square has banks, Loja de Cidadão for citizen services and Pizza Hut. How to get there: Estádio do Dragão subway station is 8min walking distance. With 16 floors and a 70 meters length, Bom Sucesso Trade Center is one of the tallest buildings in Porto, but with a questionable legality. 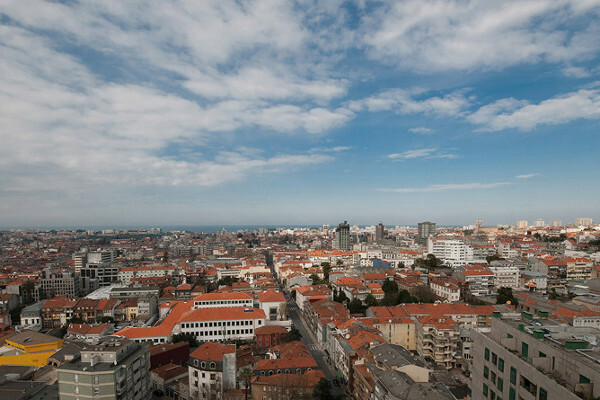 The project was approved by Câmara Municipal do Porto at the time despite it violating serval urban planning codes. It was constructed by Soares da Costa Company in 1994 and was stuck in a legal battle for 12 years. 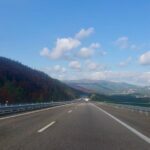 It violates two codes of the land-use planning. One, It doesn’t meet the distance requirement between buildings and school grounds and two, it’s located within a protected green space. In 2003, an order from the Administrative Court called for its demolition, but the decision was revoked in 2005. In 2007, the building was labeled “legal” because it obtained a license from Câmara Municipal do Porto and it has been operating ever since. The building is made up of two parts; the east part is a shopping center known as Shopping Cidade do Porto with 90 stores. The west part has offices for the most part. A chapel from 1748, Capela de Nossa Senhora do Bom Sucesso is reserved and can be seen on the side of the shopping center. 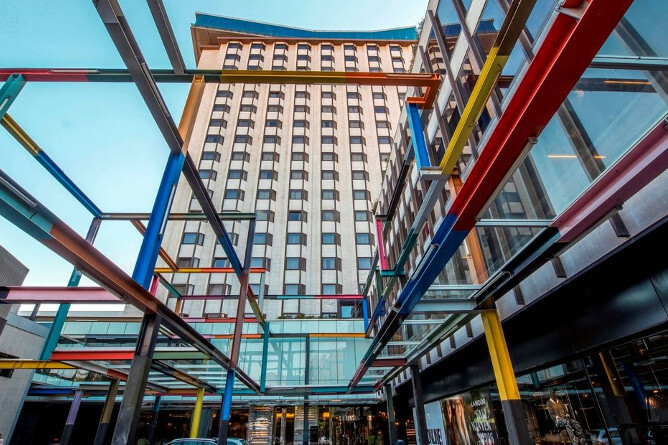 Another example of postmodern architecture in Porto is Porto Palácio Hotel, a luxury, 5-star hotel. 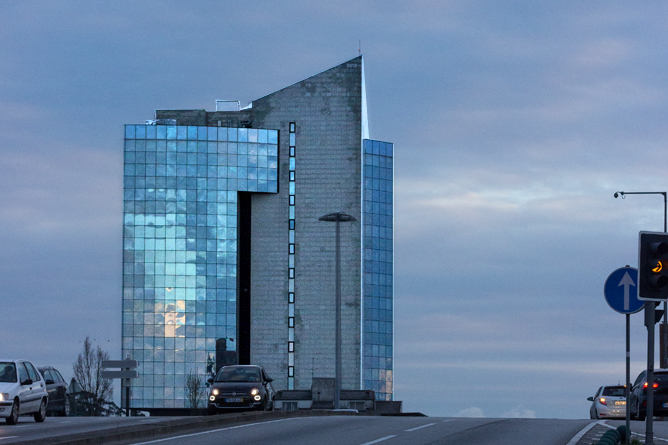 The building was opened in 1985 and it’s 65 meters tall. You can see the slight asymmetry and the playful addition of color in a metal structure at the bottom of the building. The VIP Lounge Bar & Restaurant is located on the last floor of the hotel (19th floor) and it has more than 200 types of whiskey from all around the world. 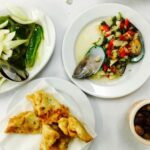 It also has brunches on the weekends, lunch buffets on the weekdays and a dinner menu. The VIP Lounge space is open to all public from Monday to Sunday between 8:30am and 1am. The restaurant opens at 12:30pm for lunchtime and at 8pm for dinner. It’s highly recommended you make reservations before your visit because it can get full fast. How to get there: Casa da Música subway station is 12min walking distance. 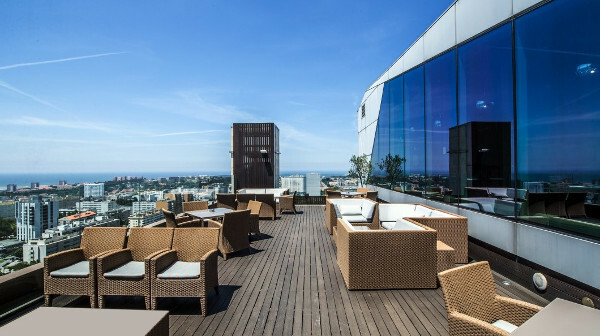 Outside of the old Porto walls, Ipanema Park Hotel is noticeable with its white exterior and 65 meters height. 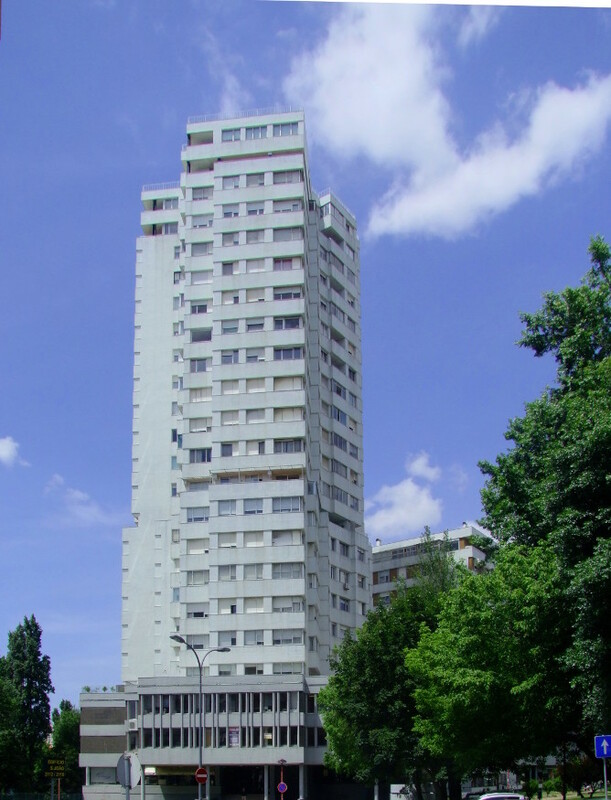 The contemporary building was constructed in 1991 with 14 floors and in 1999, it was acquired by the HF Group. How to get there: the best way to get there is by taking an UBER. Edíficio Burgo was designed by Eduardo Souto de Moura, the main architect behind Metro do Porto and one of the most prominent architects of our time. The building is situated in Foco, within what is considered the “central business district” of Porto and it opened its doors in 2007. 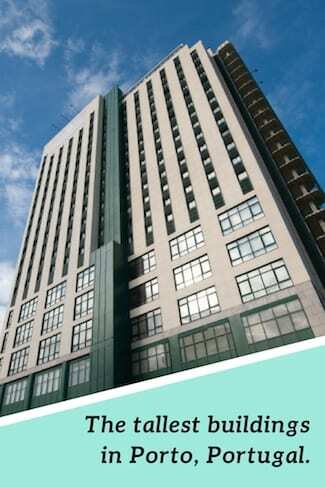 The 60 meter tower is one part of the Burgo building and it has 18 floors, mostly business offices. The 2nd part is a square with three floors and it’s the home for a Loreal beauty school. Outside the square, there is a stunning iron sculpture made by Ângelo de Sousa. Edíficio Burgo was built without structural columns and it has two different types of facades. I love the simple geometry and modernity in the design. A definite must-see when you’re in the Boavista area. Edíficio Burgo deserves to be included in the list of the tallest buildings in Porto and the most stunning ones too. How to get there: Casa da Música subway station is 18min walking distance.